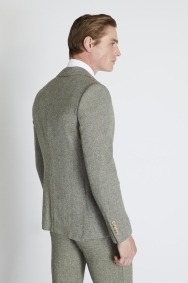 Tweed is synonymous with country life and the great outdoors. 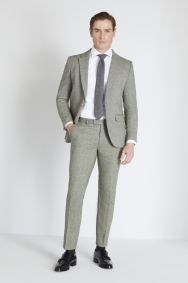 This Moss London suit is inspired by that rich heritage, as well as the brand’s signature sharp styling. 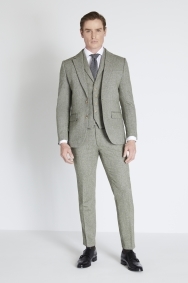 Made using a herringbone weave, the cloth features different coloured threads to create the distinctive Donegal effect. 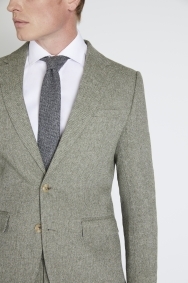 The jacket has a buggy lining to reduce weight and increase breathability. 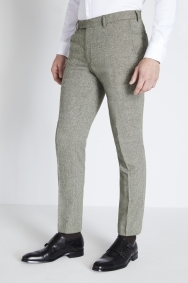 Pair with the matching trousers and a patterned shirt to achieve a new take on a classic country look. Think it's quite a small fit as usually takes 34 r but this was too small as was jacket but no problem changing it. 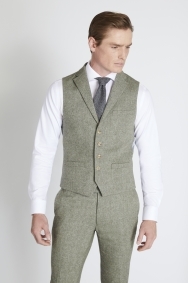 Love the suit but waist coat was a faded colour and another one had to be ordered. 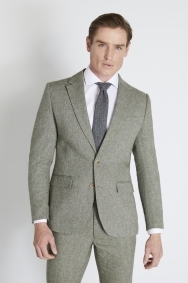 Jacket size not in stock but could be ordered from another store. Great fit. Lovely cut. Would recommend. Jacket fitted nicely but seemed a bit tight once i had the waistcoat on as well. Even that l am skinny person, the product fits me perfect.